In the UK, aviation is a vital part of the economy as it supports everything from tourism to manufacturing services. This critical infrastructure is how people take holidays or do business in other parts of the world. The modern and dynamic economy impacts the environment in many ways, from pollution to carbon emissions. Below we focus on the environmental impact, how airports are going greener and what the future holds for airport infrastructure. With the ever increasing needs of airline passengers in the UK on the up, the need to ensure the environment is protected and people’s quality of life is respected is more important than ever before. According to Business Green, having a low-carbon infrastructure investment is a great way to help the environment. Many of the largest employers, including airports, are part of the green movement and dedicated to lowering carbon emission and attracting new investments through the green economy. But the green economy is more than just the finance sector and carbon trading. First, airplanes are the number one contributors of carbon emissions. To deal with this, newer fleets and improved operational measures are helping to reduce the carbon footprint. Secondly, to deal with noise complaints, quality homes or other noise sensitive buildings that are compatible with airport infrastructure must be built. Finally, airports are going to extreme lengths to work with communities to reduce noise and air pollution, which is on the right course to sustainable growth. 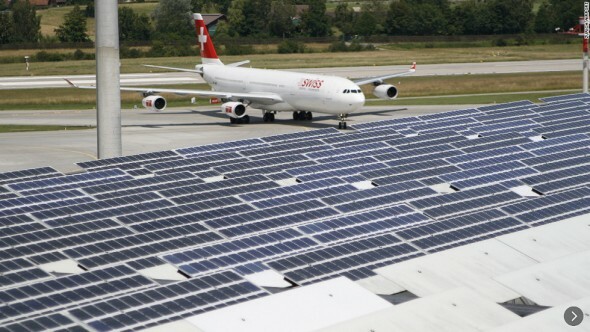 Check out the recent article on Sustainable Airports from the AOA, which goes into detail on how the UK is making environmental improvements to the airport infrastructure and other areas. Discovering new ways to mitigate environmental issues, while staying within operational constraints is a challenge that must be overcome. Research is being done in many areas to find solutions to air quality, aircraft disturbances, and noise pollution. Rethinking what an airport could look like to how it is designed, presents many possible green opportunities to explore. For more information on this, read the article Creating the new Generation of Green Airports, from Manchester Metropolitan University, where architects and scientists have joined to create sustainable airports. Engaging the local communities around airports is another way that airports can tackle problems. Working with civil engineering companies like Lagan Construction Group can help to evolve how modern airports are constructed by providing building solutions by teams of experienced and dedicated professionals. The professionals at Lagan deliver quality designs to help make airports green and environmentally friendly. Furthermore, engaging political parties to support the growth of the economy and environmental practices will help. Partnering with the department of transportation and local government agencies to further manage noise and pollution is key. Finally, working with builders and the community is important to keep people informed and contributing. By making airports green, we are protecting our economic future and environment for many generations to come.